we performed in one of our shows. 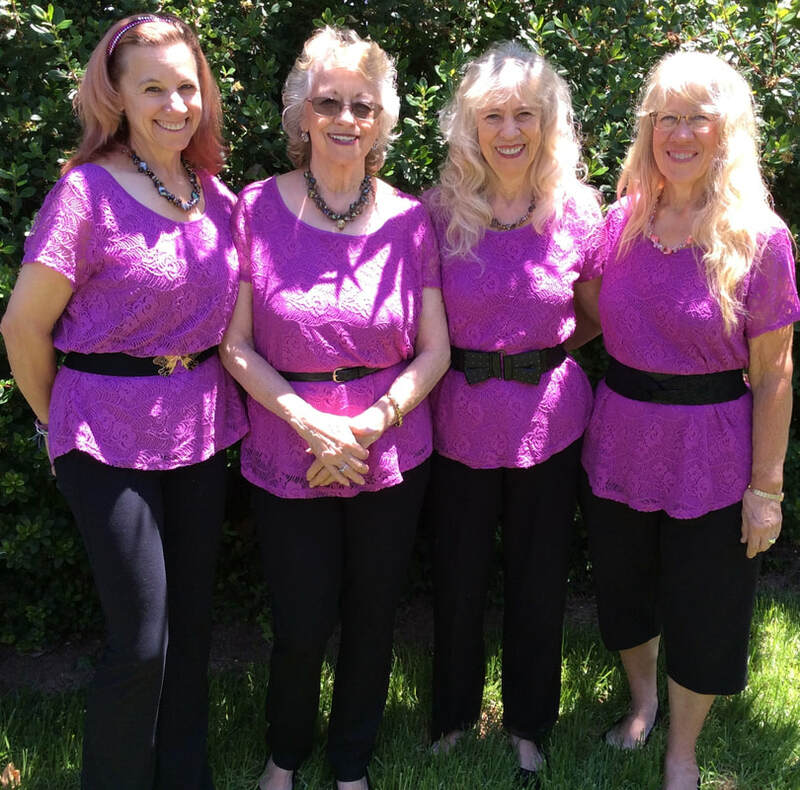 We've sung as the "Sunshine Sisters" when the sisters (two or three of us (Waverly, Sunshine, Beth) were together -- because we truly are sisters; however when my daughter, Denise, decided to join us we became the "Sunshine Girls." After our "Sunshine Musical Gala" event on July 30, 2017 where we all sang together, we decided on a new name while we relaxed at Laguna Beach -- the "Sunshine Sugarbabes." I'm so proud of my singing, dancing daughter that I built a section for the songs she in which she participated either as a singer or dancer in the December 3, 2017 Sunshine Holiday Show. Instrumental support by the Woods Combo. ​ support by the Woods Combo. Denise Lutey and Sam Bettencourt dance.